Posted on 25 January 2016. An American woman who was found dead on a deserted stretch of beach on a Caribbean island while on vacation with her husband is thought to have been attacked by a man armed with a cutlass. 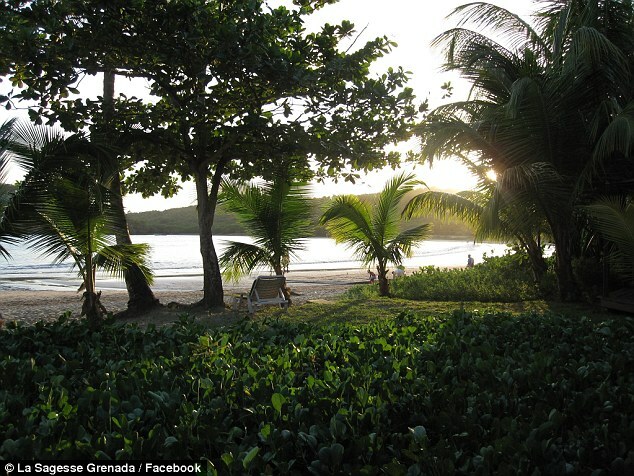 The 39-year-old’s body was found about 12 miles outside the capital of Grenada, St George’s yesterday, less than half a mile from where other tourists had been sunbathing. It is thought that she had been brutally raped and murdered on the first day of her vacation on the island after arriving at the world-famous La Sagesse resort on Saturday night. 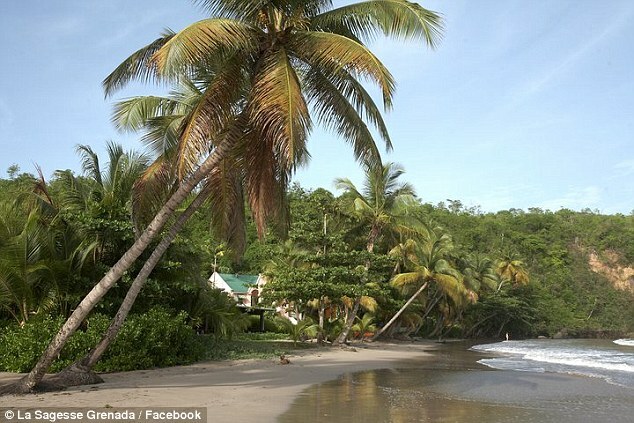 Tragic: An American woman was reportedly found brutally killed on a deserted stretch of sun-splashed beach about twelve miles outside the capital of the Caribbean island of Grenada. It came after it was revealed the attacker targeted the woman and her husband with the sword as they walked along La Sagresse beach. Police sealed off the murder scene and armed men – said by locals to be soldiers with assault rifles – started searching the undergrowth, which flanks the beach. And news of the horror killing has quickly spread across Grenada – named the Spice Island because one of its main industries beside tourism is growing nutmegs and other spices. St David’s is one of the seven parishes on Grenada, which is just 21 miles long and has about 100,000 residents including many British ex-pats. The website added ‘Breaking news!! Officers at the St. David police station confirm that a murder has been committed. 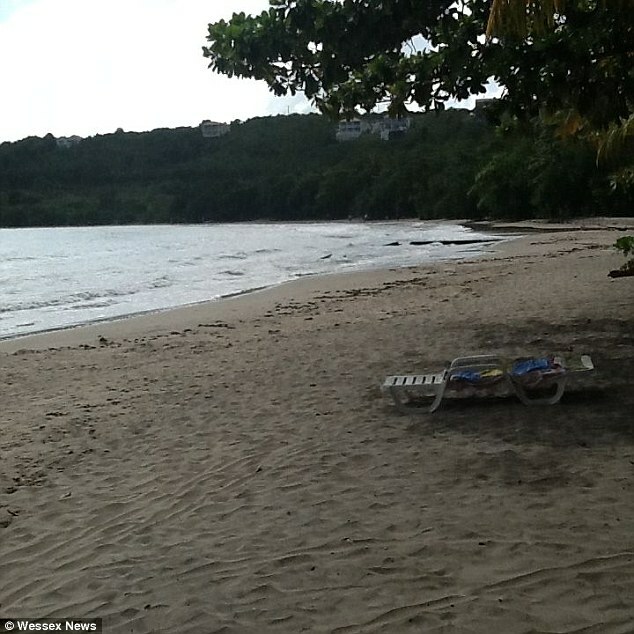 ‘The incident according to officers, took place in La Sagesse, St. David close to the beach. 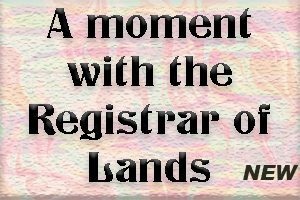 ‘Reports are the victim, (a woman) and her husband were attacked on La Sagesse beach by a man with a cutlass. 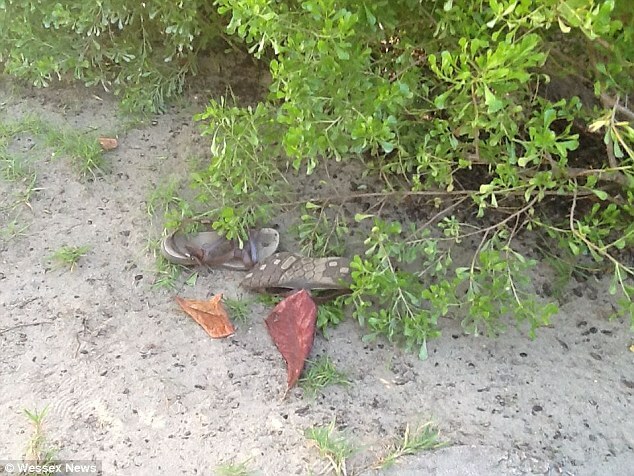 ‘The husband was able to escape, but the body of the woman was found minutes later in the nearby mangrove. 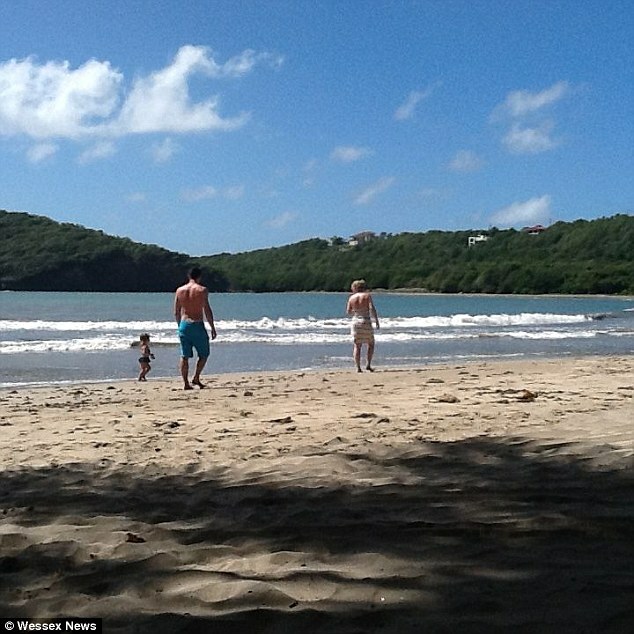 ‘The couple who arrived in Grenada days ago, was a guest at one of the hotels. Police already has suspect. British woman’s magazine journalist Sue Hardy, 63, was one of many British tourists on the beach when the drama began around 11.30 local time Sunday morning. She said that there were about 30 people on the beach, including children, as people started to become nervous and edgy because it was obvious something serious happened. ‘The staff were very tight-lipped and it seemed they had been told not to say anything to alarm the tourists,’ Hardy said. ‘We saw the guy who owns the place running to his jeep and speeding off – he was probably going to talk to the police. Hardy said there is a main beach at the resort that is about a half a mile long that has a restaurant and apartments that are located in the main hotel building overlooking the beach. She said that her husband ran half a mile back to the restaurant and hotel area to get help, leaving his wife. ‘Whether she’d been dragged off and kidnapped, I don’t know,’ Hardy said. ‘Some staff ran back to the deserted beach but by the time they got there she had been murdered. Hardy said that police officers would not say anything other than that there had been an incident. Calls placed to the police department and the resort on the island by Mail Online went unanswered. ‘The woman and her husband had arrived last night so this must have been one of their first walks along the beach,’ she explained. ‘After walking for half a mile round the bay, where you are still in sight from the hotel and restaurant and the main area where tourists sit out in the sun, you can go up a path which leads through a sort of mangrove swamp, with steps so you don’t walk into the mud. ‘After about 100 yards through this somewhat dark swampy area, you come out on to another beach which is totally deserted. ‘No-one can see you there – but of course nobody can see if anyone attacks you there. 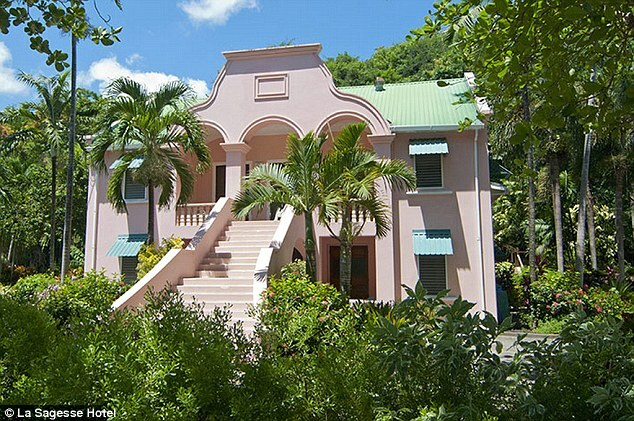 Hardy, who is on her sixth trip to Grenada, said that the La Sagesse resort is her favorite on the island. But she said she won’t venture out to that other hidden beach again after the American tourist’s death. ‘As I say, we have been coming here for years and we know lots of ex-pats who have lived here for decades and they all say you are totally safe,’ Hardy noted. ‘People were just in shock as word spread, and some of the local villagers came down to the beach. ‘They were just standing around, aghast at what had happened.There was such a sad sight – she’d left her beach shoes lying on the sand near the restaurant.